The “AKL Resort” fan site is another fantastic unofficial Disney place in the blog-o-sphere dedicated to a Walt Disney World Resort Hotel. Located at AKLResort.com this is the place to go for information about connecting you and your family with a truly unique and exciting Disney hotel. We keep finding great resort fan sites popping up across the web, the more we find, the more we’ll be sure to share with you. Even the website has an African feeling and easy to use navigation that will have you shouting “Jambo!” Right from your living room. 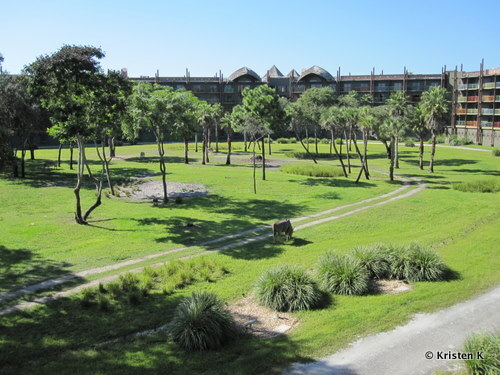 Animal Kingdom Lodge is one of Walt Disney World’s newer deluxe hotels, and is located in a remote section of Disney Property near Disney’s Animal Kingdom. Consisting of both the main Lodge at Jambo House and DVC’s Kidani Village the room configurations here will fit the needs of just about any family and sleep from 2 -12 people. Views from this resort are nothing short of amazing as the property’s private savannas allow you to watch African wildlife grazing and playing in the sun right from your balcony. Animal Kingdom Lodge is home to several unique and renowned dining options for it’s guests including the award winning Sanaa and Jiko. This complete resort is an escape in it’s self and many guests book their packages here even if they don’t plan on hitting the parks. AKL Resort is a fantastic resource available to help you decided if this is the right resort for you and your family. The web masters have gathered hundreds of photographs and in depth articles so that you can delve into this African retreat. Whether you’re a casual guest, experienced traveler, or die hard DVC member this site has information you can use on the extensive amenities available to this resort’s guests. It’s a great tool for comparing the Animal Kingdom Lodge to other Disney Deluxe Resorts before you book your Disney Vacation Package. Stop by this great fan site to get a feeling for this most unique of hotels on Disney Property. The Animal Kingdom Lodge is one of my favorite hotels and you can find out why by visiting AKLResort.com. This entry was posted on Monday, February 13th, 2012 at 5:01 am	and is filed under Hotels, How To, Planning. You can follow any responses to this entry through the RSS 2.0 feed. You can leave a response, or trackback from your own site.